How to Start a Business in Nigeria – As I grew up in the Eastern part of Nigeria during my teen hood, I came so close to joining a paramilitary group called the Boys Brigade. Unfortunately I didn’t join but its motto left an indelible, impression in my young mind which says “Be Prepared”. So if you are really interested to start a business in Nigeria then you should be prepared. It’s laughable to observe how many people who are have the capital, the connections, willingness, passion to say the least technical know-how to start a business yet not prepared to “manage” a business. To start a business is one thing but to manage a business is another more especially in a harsh business environment like ours. Within the Nigerian context there is a widely speculated view that if you have the money, a space and business name yet to be registered with the Corporate Affairs Commission (CAC), you can start a business of your own. However when you are faced with the problems and challenges that comes with starting a business, you wouldn’t know what hit you. This is one of the reasons why most small scale businesses in Nigeria don’t survive after 3 years of its inception. 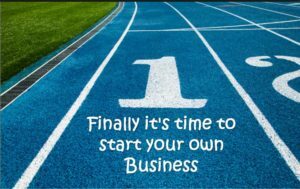 I am writing this piece to help you not only lay the basic foundation you need to start a small medium entrepreneur (SME) but to help you stay successful in business after your competitors have all shut down. I’m going to break this topic down into segments for easier understanding and to show you in a more practical sense how to be prepared for any kind of small scale venture in Nigeria. It’s a common saying that ideas rule the world. And this includes the world of business. Every human invention started as a seed of an idea before it metamorphosed into something animate or inanimate. Microsoft was an idea, Startbucks, McDonalds, Google, the aircraft, automobile etc. where all ideas in the mind of their founders. But I must stress here that having a good and superior idea is not just enough as there are other key factors one must consider if you want to start a business in Nigeria. However, the business terrain in Nigeria is so fertile for any good idea to germinate given to the fact that Nigeria is a developing nation with an estimated population of 180million people. Besides the number, we have one of the best economy in Africa. To admit the least, her Government is ever ready and willing to create a conducive environment where small and large scale businesses can strive. Be Exploratory. In Nigeria with six Geo-political zones it gives you a vast opportunity to travel from one zone to another to observe and learn something new. Traveling outside the shores gives you a wider explorative coverage and exposure. New business ideas can be imported from one place to another. My point here is that you travel around; shine your eyes; observe and learn. You will definitely think outside the box. Be Open Minded. A hand that is open can easily kill a fly than the one that is close. Open your mental valve to incoming stimulus and free yourself from old-held traditions. In the eighties pure water was sold in light waterproof bags but someone interrupted that line of thought by introducing it in a sachet form. Business Interaction. Sometime ago, I attended a business summit for small and medium business owners. During one of the break-out sessions, I engaged one of the participants in a conversation. He made a comment that struck me and immediately I knew that was the missing link to the business idea I was working on. Make it a habit to attend business seminars, economic summit and training etc. These are factors that help incubate ideas. Social Problems. From the sociological point of view, this concept is simply defined as a problem that affects a greater preponderance of a given population. A half glass of water was presented to two students and the teacher asked the first student: “what do you see” he said: “I see a glass of water that is half empty “while the second student said “I see a glass of water that is half filled”. I want to ask you this question; when you carry on with your day to day activities do you see problems and solutions to these problems? The problems that get your attention can be the raw materials you need to help you develop a business idea. If King C. Gillette hadn’t been fed up with the tedious process of sharpening his straight-edge razor, he wouldn’t have founded the massive disposable razor industry. When he took his idea for a portable razor with a blade that could be used several times to a research university for assistance, the engineers questioned his sanity. Gillette followed his instincts and the rest is history. Interest and Natural Abilities. Your area of interest and passion can trigger business idea. So check your areas of interests and natural abilities. There are massive business opportunities there. Don’t treat these affiliations and impulses with kid gloves. Think. The mass of tissue that is sitting in our skull is not there to occupy space. We are meant to use it to reason out, meditate on, dissect and solve complex tasks. And that’s what we should do with it. All I can say here is think think and think again!! Inspiration. Everyone of us has a deposit of divinity and a spiritual vacuum that longs to be filled. Within us is a spirit and the inspiration of the Almighty gives it understanding in all things. I want to get busy? I want to make extra money? I want to join the league of business owners? I want to solve a problem or add value to people? The last mindset is the most beneficial reason to start business. This is because people will always be pressed to pay money to solve their problems or add value to their lives. Typical examples are the food and education business. The need for both is something everyone cannot do without. We all eat; we all want to get some education. We go out there to work in order to have enough money to feed ourselves and our families. Therefore anyone who chooses to start a restaurant or food stuff business will always have customers because they helping to solve a problem in the society. The same applies to education. Every parent wants their kids to get some education therefore they will pay anything to achieve that. Therefore even nursery and primary schools in remotest of places in this country are making very good money. Note: Am not saying that it is bad for you to start a business in Nigeria because you want to make money or to be a known entrepreneur. These are good motives. However, making big cash and a name for yourself usually comes after a few years in business. They are actually results of solving problems and adding value to people. Beside, seeing the satisfaction of a client who you helped solve his problem gives you a level of satisfaction and motivates you to wake up and get to work every day. And showing up every day to work and doing your best will invariably place you on the path of business success. Don’t start a business without studying the business no matter how simple you think it may be. The same way you don’t study after taking an exam that’s how you don’t first start a business and then start studying the basics of the business. In some cases you will need a mentor or you will have to enroll for apprenticeship. I do advise intending business owners to work for someone before owning your own. By doing so, you will have the opportunity to be exposed to the market volatility, understand the dynamics of the business and its trend, ask questions and learn from your mistakes. I’m not asking you to have 100% knowledge of the business but you need to know enough that can help you make an informed decision and take calculated risks when you set up yours. Studying a line of business gives you an idea where to locate that business, who your customers and competitors are, how much capital you need, profit potentials and what you are up against. However as I advocate that business men and women should write a business plan, I also want to draw the balance here: that a good business plan may not get you a loan/capital or that what is eventually on ground might not be consistent with what is on paper but for all it worth it’s better to have a business plan. Someone once said “if you don’t plan to succeed then you have planned to fail “. You can be sitting on the fence. Take out time to do a proper feasibility study and write a detailed business plan. This could mean the difference between failure and success in business. I believe why a lot of entrepreneurs in Nigeria don’t write a business plan is because they are totally ignorant why they should do so. So I’m going to take time and point basically five reasons why you should write a business plan. Capital: The primary reason a lot of people write business plan is to be able to access loans and grants from financial institutions. This is good. However, a well written business plan enables you to the amount of money that you will need to start your business, pay staff and run the business until you start making profit. Viability: Writing a business plan helps you to analyze the practicability and workability of your proposed business. Whether it will work or not. It’s like using the FOREX demo platform to practice Forex trading before investing your money. It is a lot better to find out that your proposed business idea will not work on paper than to throw in millions of Naira on a business idea only to find out that it will never succeed. For Effectiveness and Efficiency: Businesses are always in a wheel of constant change due to a lot of factors but majorly on the unpredictability of the business market. Having a business plan provides you the best managerial approach needed to survive such periods. It also gives room for effectiveness and efficiency for those who are already in business to make evaluations in other to re-position the business. Business Plan for Business Guide: There is no doubt that businesses grows and expands beyond its original scope, so having a business plan will help guide the business in other not to loose its major contents. Unfortunately most business owners in Nigeria don’t fall back to the plan to know when to make decisions that wouldn’t put the business off tangent. Accuracy: Writing a business plan involves a lot of documentation work and brainstorming. Thinking it through will help you cut off a lot of excesses, reduce the margin for errors and create accurate data on which your business can kick-start. A successful plan on paper most times guarantees a successful operation of businesses. Who are the major players in this market (Competitors)? Failure to answer this question is like going after a honeycomb not expecting bees. Not everybody doing what you are doing is your competitor but that doesn’t mean you should underestimate any. My point here is that you look out for the key players in your industry, study what they do, analyze their strengths and weakness then maximize it to your own advantage. Apply the SWOT analysis. What comparative advantage do I have? From the above analysis, you should be able to tell what cutting-edge you have or may have above your contemporaries. Knowing this will define your uniqueness, brand and style at the market place. It will require an unconventional way of thinking to dominate the system. Who are my target audience (potential customers)? By target audience we mean how many people you want to reach out to through your goods and services. This number of persons forms your customer’s database. Note anyone who patronizes you must not continue to do so and anyone who doesn’t patronize you could be a stakeholder in your venture tomorrow. One of the greatest challenges business owners have always faced is how to get non-customers to themselves and close the exit door to prevent them from leaving. How do I meet their needs with the best global practices? Give to a person what he wouldn’t get anywhere and the person will keep on coming”. The difference between success and failure in your business can also be determined by the way that you treat your customers. Going over the expectations of your clients will keep you dear to their hearts. However, they will run off to your competitor if they perceive that they are not fairly treated. Can I breakeven in this market and remain relevant? That you set up business is not a guarantee that you will succeed but finding a sincere answer to this question will help you deploy the necessary tools needed to succeed. The Nigeria society like every other society is evolving and its market being affected by different factors like technology, western influences, global economy, customer’s demands, financial regulatory bodies, investors interest, economic policies and government regulations etc. Every business owner or intending business owners in Nigeria must be abreast with these trends because it has inevitably changed the way we do business for the past 15 to 18 years. All market in different industry operates like a classified document which if you can’t unravel it will become a serious impediment for you in time to come. Also note here that no market system or terrain is the same, it differs from industry to industry, place to place and time to time etc. I believe I have given you substantial reasons why you have understand your market before investing. Every business must cost you something, if it doesn’t cost you anything it won’t pay you anything. How financially prepared are you to start that business? Would it require a loan from the bank, family and friends or will you save towards it. Learn to tailor your business according to what you have or what you can afford and don’t get loans that will suffocate the living day-light from your business. Starting a small medium enterprise will also cost you less than it would have if it was a mega venture. This is a more sensitive task that many intending business owners don’t give deserving attention. However, before you kick-start a business in Nigeria find out the statutory requirements of the federal, State and possibly the Local Government provision that allows such business to operate. One of such statutory requirements is to register with the Corporate Affairs Commission (CAC). Needless to say, because of the rigorous process involved in registering a business with the aforementioned body a lot of businesses in Nigeria don’t have the official approval of the Government and thereby making the operation of such businesses illegal. Unfortunately when they are shut down by the law enforcement and fined, their pay more than double of what they should have paid to register the business. Don’t make a legal business illegal by not meeting up to the statutory requirements. In Nigeria, the Corporate Affairs Commission is the organization with the constitutional mandate to register businesses in Nigeria which has it’s headquarter in Abuja with other branches scattered in the thirty six states of the nation. Albeit her activities can be followed on the internet. Why must you register your business? Failure to do so or comply will attract penalties and fines. Qualifies you for Government contracts. Who said small businesses cannot bid for some contracts? Qualifies you for a loan. You must identify with the Internal Revenue Service for tax payment as you earn on the business. Note: The way you register a limited liability company is not the same as sole proprietorship and partnership. Their requirements and payments differ but if you want to get the details you can go to any of the aforementioned websites. What is a License? A license in this context is an authorized document that allows an intending business owner to operate a business within a location for as long as the document is valid. What is Permit? It’s an authorized document that gives you the right to engage in any business activity provided the business is legal. I need to stress here that registering your business in Nigeria is not the same with obtaining license and permit. Is like buying a car and expecting to be issued a driving license just because you bought a new car. And because a lot of people don’t factor this part in their business plan they end up running into problems with local authorities. In Nigeria, virtually all industries have bodies and associations that regulate and monitor the activities of her members. Example of such professional association is the medical association of Nigeria (MAN), Nigeria Bar Association (NBA). We also have other business associations like association of barbers, hairdressers and cosmetologist of Nigeria (ABHCON) Founded on January 1 2012 also a registered body with corporate affairs commission. It is an association that regulates the activities of all hairdressers, barbers and cosmetologist in Nigeria; to create more awareness to hair care products through a comprehensive grassroot promotion to assist members of the association financially. My point is after you are done registering with the Corporate Affairs Commission find out from your local town where you want to start the business about the Association that identifies with your business and register with them. When you do so they issue you a permit and a license that gives you the right to run your business within that premises. Most of these Associations have Rules, levies, collective responsibilities to the society, EXCOs, and members rights and privileges. Don’t be a loner! Get relevant business skills in connection with the kind of business you want to start. This can be achieved either by formal or informal education. Personally I highly recommend informal education with formal education at the background because when an enlightened mind engages in a business with technical experience he is one kind of a business guru. It’s a common saying that attitude determines altitude and if I can paraphrase “your attitude to business will determine your altitude in that business”. I once went to a shopping mall to do some purchases. In the first shop I stepped into, I noticed that asides the shop attendant, I was the only customer there. She presented a product that I requested for but then I had changed my mind and asked for an alternative product but a different brand. The lady just hissed and sat back on her chair. I quickly left and went to the other shop and demanded for the same brand. They didn’t have it but politely offered the same brand I rejected at the other shop at a higher price. Though on a high side, I bought it. I wondered why I couldn’t go back to the first shop to buy it at a cheaper rate then it dawned on me that ATTITUDE made the difference. Have a prepared attitude to render the best service at an affordable rate, to keep your head above waters when you are faced with the worst storm, never to quit when you have done all, to treat your customers/clients and employees as kings (by putting them first before gain) even when they don’t deserve such, never spend more than 30% of your profit, have value for integrity and excellence. At this point what stands between you and success is time.